The All Progressive Congress (APC) has threatened to expel Shehu Sani, senator representing Kaduna central, for his opposition to the fuel pump price increase. 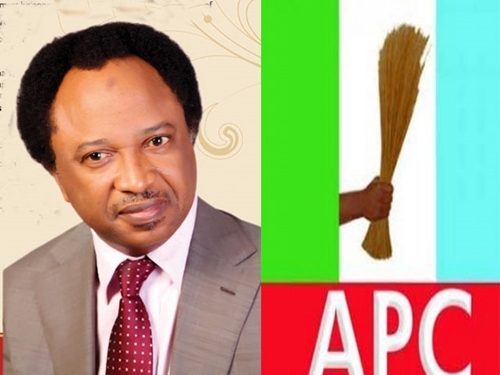 For his opposition and statement over the fuel pump price increase by the President Buhari-led federal government, the outspoken senator representing Kaduna central, Shehu Sani, has been threatened by his party, the All Progressive Congress (APC) in Kaduna state with expulsion. "Given his disregard for the party, the APC in Kaduna state has no option but to take further disciplinary measures that may lead to his expulsion from the party. "How can a senator who passed the 2016 budget that has no provision for subsidy turn around and attack President Buhari for implementing the decision? "How can a politician with any sense of discipline or commitment to the public interest fail to see that the fuel subsidy regime is bankrupt and is no longer in the interest of our people. "In speech and conduct, he has shown himself incapable of loyalty to our party the APC and our great leader, President Muhammadu Buhari. "Having ridden on the back of our party and the popularity of Buhari to get to the Senate, Sen. Sani has since abandoned any pretension to discipline or loyalty to any principle." Salisu alleged that Sani had joined the Peoples Democratic Party (PDP), but still masquerading as an APC senator. "Since he does not have the courage to openly decamp, we will kick him out if he continues with his anti party activity," he said. He expressed support for federal government’s policies and urged party loyalists and the people of the state to also support the government. "We applaud the courageous actions the federal government is taking to fight corruption and retrieve the public funds that were stolen by some Nigerians," he said.